Our Red River Plan in Heartwood Park in Copperas Cove is stunning. That's the best word to describe the grand foyer, the American Plank Flooring, the incredible owners' suite and the huge back covered patio. This home also features 4 bedroooms, 2 baths, a wide open floorplan, a pantry, and a large laundry room that is very convenient to the garage. Heartwood park is a new development located on the north side of Copperas Cove. 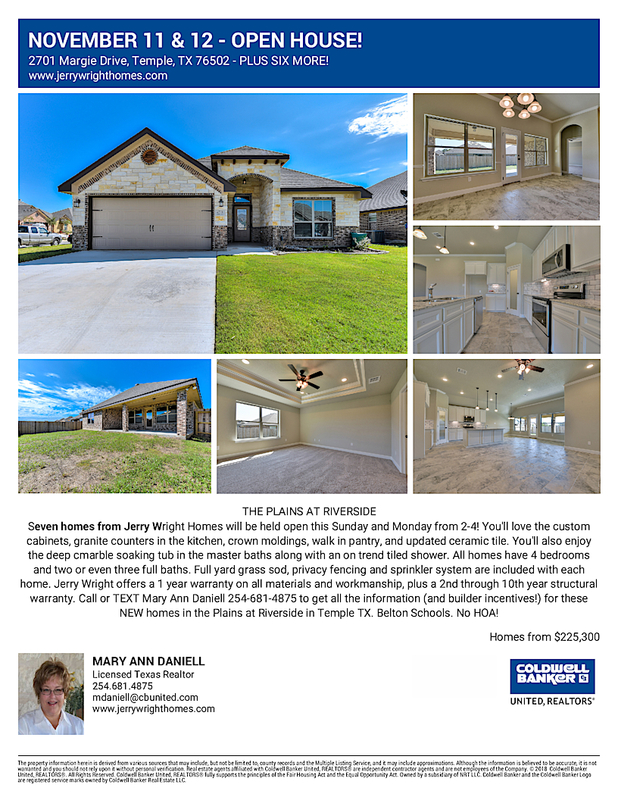 Close to schools and access to Fort Hood, it's a beautiful place to buy a new home.